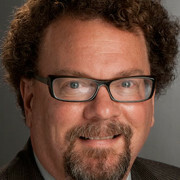 Jonathan Schroeder is the William A. Kern Professor of Communications in the School of Communication at Rochester Institute of Technology in New York. His PhD is in Social Psychology from the University of California, Berkeley. He has published widely on branding, communication, consumer research, and identity. He is the author of Visual Consumption (2002), co-author of From Chinese Brand Culture to Global Brands (2013), editor of Conversations on Consumption (2013), and Brands: Interdisciplinary Perspectives (2015), and co-editor of Brand Culture (2006), the Routledge Companion to Visual Organization (2014), as well as a special issue on “Being Branded” for the Scandinavian Journal of Management (June 2013). He is editor in chief of the interdisciplinary journal Consumption Markets & Culture, and serves on the editorial boards of the journals Advertising and Society Review, Critical Studies in Fashion and Beauty, European Journal of Marketing, International Journal of Indian Culture and Business Management, Journal of Business Research, Journal of Historical Research in Marketing, Journal of Macromarketing, Marketing Theory, and Visual Methodologies. He has held visiting appointments at Wesleyan University, Göteborg University in Sweden, University of Auckland, New Zealand, Bocconi University in Milan, Indian School of Business, Hyderabad, and the Shanghai International Business and Economics University. Schroeder, J. E. (2014), “Brands and Branding,” in Wiley-Blackwell Concise Encyclopedia of Consumption and Consumer Studies, edited by Dan Cook and Michael J. Ryan, New York: Wiley and Sons. Pongsakornrungsilp, S. and Schroeder, J. E. (2011), “Understanding Value Co-creation in a Co-consuming Brand Community,” Marketing Theory, 11 (3), 303-324. Puntoni, S., Schroeder, J. E. and Ritson, M. (2010), Meaning Matters: Polysemy in Advertising, Journal of Advertising, 39, 51-64. Buchanan-Oliver, M., Cruz, A. and Schroeder, J. E. (2010), “Shaping the Body and Technology: Discursive Implications for the Strategic Communication of Technological Brands,” European Journal of Marketing, 44, 635-652. Schroeder, J. E. (2009), “The Cultural Codes of Branding,” Marketing Theory, 9, 123-126. Schroeder, J.E. (2005), “The Artist and the Brand,” European Journal of Marketing, 39, 1291-1305. Schroeder, J. E. and Zwick, D. (2004), “Mirrors of Masculinity: Representation and Identity in Marketing Communication,” Consumption Markets & Culture, 7, 21-52.